On a recent episode of This Anthro Life, Adam Gamwell, and Matt Artz got to interview Dr. Natalie Hanson on the topic of applying design anthropology to enterprise user experience (UX). Natalie has been working and researching at the intersection of business strategy, technology, social sciences, and design for nearly fifteen years. She currently manages two corporate user experience teams (one in software development and one in consulting) at ZS Associates, a professional services firm based in Evanston, Illinois. On the episode, we talked to Natalie about her origin story, design anthropology, enterprise UX, how she gets buy-in, and how demonstrates the value of research in a corporate environment. A philosophy that Natalie was clear to articulate from an industry perspective is, “If you’re going to build good software you need to get out of the office and talk with people, walk the shop floor, talk with friends, and family.” After all, to do ethnography is to ‘hang out’ and get to know people. It may come as a surprise, but for different industries to take on ethnographic thinking is a relatively recent trend. For anthropologists, the general idea of learning about people’s’ wants and desires through ethnographic methods (i.e. hanging out) is nothing new. But acting on these insights – to help make and tailor a product, optimize a business team, or shape the user experience of software – is. The tradeoff though, as Matt points out, is that ethnography takes time. Getting the most ideal rich forms of data can come at the cost of valuable production constraints. Likewise, without much time to invest, the ethnographic information collected will run the risk of being thin and less impactful. For an anthropologist, this means their data will be limited in true depth or understanding of a social group, which can lead to lackluster insights. For a designer, the consequence of creating a time-saving product could be widely missing the mark on its use value. In this way, there is a sense of a Goldilocks zone of thick description and timely production being hinted at in the conversation that can be difficult to find. With ethnographic research, there is always a question of access that can be thought of in some ways as community trust and rapport with the researcher. To build trust, one needs to start small with the basics. This is certainly not the most exciting enterprise. While Natalie recognizes that webpage design and satisfaction surveys are not ethnographies in full, this work lays the foundation for trust in time. Insight comes from long-term studies, recognizing trends, patterns, and experiences. This helps translate into shorter-term studies with people where the distance between being an insider and an outsider (or an innie and outie) is minimized. Speaking of the complex dynamics of translation, Natalie reflected on the relatively slow way in user experience is impacting healthcare. When UX is directly impacting not only health but all the entangled issues surrounding health policies and practices, progress can be very slow. App developers might want to create a blanket product, a one size fits all solution. Yet, the trouble in creating an app in a vacuum, especially a health-related one, is that behavioral and cultural distinctions need to be kept in mind. Such issues can easily be compounded by diseases like diabetes, where individual behavior, cultural ways of using apps as well as receiving health care, and genetics have important roles in a perspectives app’s success and applicability. It is incredibly complex to navigate these environments and doing so requires a human element. This reflects on the value of anthropology in recognizing human issues in broad arenas. A researcher may not always have the perfect conditions, questions, or responses. Data is often imperfect as is the research. As Adam points out, recognizing this helps ground the reality of anthropological work in general. To find out more about the benefits of bringing anthropology and design together to solve the toughest problems in business, check these links out on design anthropology, using contextual inquiry for design research and getting user experience (UX) adopted by leadership in a corporate environment. Transcribed and lightly edited by Natalie Hanson. Reposted from her website. Adam: All right, hey everyone. Welcome to This Anthro Life, as always, this is Adam Gamwell. Adam: We are brought to you in collaboration with the American Anthropological Association, with our friends over at Society for Applied Anthropology, Sapiens, an online publication journal that’s bringing/ science communication in Anthro, to wider audiences, as well as we’re working on it with our new friends from EPIC: Ethnographic Praxis in Industry Conference. We brought together, all these for groups and the idea is, as anthropologists, as people working in podcasting, working in digital media, working in tech, working in design, trying to bring the conversations to wider audiences and to spread the good news and the good work of anthropology. If you like the program, you’ve been joining us for a while, thanks and I’m glad to have you back. If you’re new to the program, welcome. We have a new Patreon, which is a crowd funding platform and campaign that we’re running that you can check out on the show notes of the podcast. What this is, is a small way to help support the program. If you like, you can give as little as a dollar a month and that makes a huge difference to us because we run this entirely by ourselves, self funded. We love making it and we cannot wait to keep putting out more episodes and 2018 is promising to be an amazing and awesome year so if you got a dollar, you want to help give us a cup of coffee as it were, hop on over to our Patreon page and you can toss us a buck or two. Matt: Today we talk to Natalie Hanson. Natalie is an anthropologist who has worked in the tech sector for about 20 years now. She’s worked at SAP, currently at ZS Associates. She is the famous founder of the Anthrodesign community, starting as a listserv, that is now on Slack. Today we talked with her about how software is a product of culture and a state of enterprise UX today, which Natalie works in, how she goes about selling research in the enterprise space, how that research might not always be perfect or live up to your expectations or desires of how a research project should go and in the end, how you really need to learn the language and needs of all stakeholders involved; the project sponsors and users, whoever may be, to really build trust and build a successful project. Adam: Yeah. 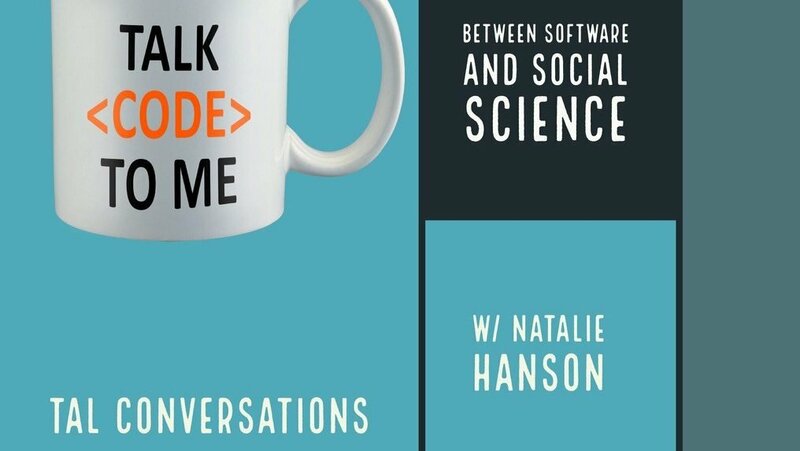 We really enjoyed this episode and we’re excited to share it with you as we build more conversations in the anthro and design and business space so I hope you enjoy our conversation with Natalie Hanson. Thank you so much for joining us Natalie, on This Anthro Life. Again, we’re kind of digging into these themes that are circling around UX and software technology, anthropology. You’ve been in this space for a number of decades and so, part of the thing we like to do here is begin with your origin story. What got you from … what’s your superhero origins story in essence? What radioactive spider did you get bitten by that brought you from where you were to the UX technology world? Natalie: Yeah. It’s funny, I was just talking to a graduate student today about this and I think it’s got a beautiful bow on it, when you can look on the rear view mirror you know, 20 years in the rear view mirror but it certainly wasn’t that way at first. I know my parents despaired, literally, that I would ever end up doing anything worthwhile. I think for me, the place that I often start is by saying that when I became interested in cultures, I studied Religion and Biblical literature at Smith College in Massachusetts and I just became very interested. At the time, there was a lot of strife in the Middle East. Of course there still is, but at the time I was interested in how religion was driving the relationship between people. I wanted to use that as a way to understand some of the tensions in that part of the world. That led me over time, after period of time in the working world, I went into a program called Whole Systems Design, which was at Antioch University in Seattle. That program doesn’t exist anymore but it was a really neat, nontraditional program. We studied design theory and systems theory together. Herald Nelson, who was the chairman of the program at the time, is still writing and speaking on these topics. I really, really enjoyed that macro thinking. How do you think about a system at the macro level that way? It was very eye-opening for me. What I came to realize later was that the idea of human agency or people actually affecting these black boxes and these line drawings and stuff, that whole idea about human agency is just not in systems theory. That is what I really came to love when I got exposed to anthropology. Later, I was working at academic computing at Mills College in Oakland. What I came to love as I got exposed to anthropology was this idea about culture and the fact that there is so much about human and human complexity that actually makes these things happen. That it is much more complex than a systems diagram could possibly explain. In particular at Mills, I was on the staff there but I was taking classes and working my way towards grad school. I took some courses in visual anthropology and just really came to love the idea that we tell stories about culture in many ways. For me, visual in particular, I had always been drawn to the arts. In fact, thinking about the common thread through a lot of my work even today is, as early as the fifth grade, I was talking about art as a product of culture. I was cleaning up my archives and I found a term paper that I had written in the fifth grade, using library archives. It was about needlepoint in American culture, and how needlepoint evolved when it came to the colonies. It was written with all primary source materials with the help of a librarian and an archivist. Similarly, in my masters program, I was looking at weaving. I was studying weaving in Indonesia and I had looked at Navajo rugs and saying, “How does the culture express itself through these creative forms?” That’s been the thread and I know … Okay, how do you end up in the software industry but actually, there’s some really great stories and quotes. I don’t have the pithy ones here in front of me but basically, the software is a product of the culture in which it was developed. The better you understand and the healthier and more functional a work culture you have, the better the product you can produce. Yeah. Then after that masters degree …. I was at Mills and I was taking all these courses in anthropology and then I eventually got in to do my PhD in anthropology at Temple University. I chose Temple in particular because it had this focus on the anthropology of visual communication. I was really excited about anthropology but I didn’t want to lose this piece about creativity and expression that I’d realized was a common thread through the work I had done before. That was what drew me to the Temple program specifically. While I was there, I was working full time. I had a grad assistantship not in anthropology but in academic computing because I came from academic computing at Mills. I worked in academic computing and I paid my way through my first couple years of the residency of grad school that way. Then after I completed that residency requirement (it wastwo years I had to be full time in the grad program), I ended up getting a job at SAP and I spent almost 15 years there. That was pretty exciting to be at that point and I really enjoyed that aspect of my time there. We’ll talk a little bit later about, “How do you sell?” I think interacting with C-level executives that only have a few minutes to give you and who have very short attention spans and a million other things on their minds, you’re forced to learn to be incredibly concise in terms of how you tell your story. You get one slide if you’re lucky. That was a really good way for me to hone my skills in terms of how I talk about what we do. Adam: Related to that time constraint and those political dynamics, what was it like studying up in that space for your dissertation? Natalie: Yeah. Incredibly challenging but also very exciting because the software industry was undergoing huge shifts at that time. I think it was a real privilege to be able to trace those things as they were happening. Really, what was happening in tech during that period was … I was studying right during the dot-com crash and the question was: how do we stop being so technology centric and start thinking more about our customers? What a brilliant time to be an anthropologist in that environment. Not only to see those shifts and the discourse happening in tech but to actually witness that happening inside of a company, what kinds of transformations are required to actually make that a reality. Especially at the time, SAP, I mean, it’s 75,000+ people now, I remember what it was at that time but 40, 50,000 people, something like that. I was thinking about what do you need to do to mobilize a company to respond to what the market is demanding. It is really, really interesting to watch that unfold and get to be a part of it. Adam: Without getting too, maybe ahead of ourselves, have you experienced anything else like the dot-com bust, that has helped ushered in greater appreciation? Maybe like, the rise of design thinking in the media but anything on the same level of the dot-com bust? Natalie: No. I do think that design thinking is probably the other big one. Then there are others that I would characterize as less so but it also depends what industry you’re in. For me, Agile in high tech has been huge and Lean if you’re in more on the manufacturing kind of environment (and what those having in common). I’ve written about that on my blog. In Agile, Get Out Of the Building or GOOB and the idea is this: if you’re going to build good software, you’re going to have the GOOB. You’re going to have to get out of the building and talk to people, even if it means you’re doing intercept interviews on the street or going to talk to friends and family. That’s an essential part about how you build in agile is by talking and iterating with people. Similarly, Lean, a tenet of Lean is that you have to walk the shop floor. You cannot make things better if you don’t really understand what’s going on on the shop floor. A lot of the times executives can’t do that. But they recognize the need, and an ethnographer, somebody who understands both the business and the people, can walk the shop floor and help that executive, and help elevate some of those people and process-related issues that help companies become more effective with the human- and market-centric way of thinking. But yeah, for me, I do see Agile in particular as being a particular challenge, I wouldn’t characterize it as a crisis, but, and we’ll talk about this a little bit more later, but as there’s more and more research, this characterizes UX research or design research, figuring out how to do meaningful work in the context of agile is incredibly challenging. Matt: Absolutely. And you know, Adam and I, we were recently looking at an article on UXification of design research. Natalie: Yes, Simon Roberts, yeah. Matt: Yeah, yes. It fits right into this, it was a great space, and certainly developing that rich, deep, kind of thick understanding in that compressed timeframe, it’s hard, you’re sort of left feeling, you know, maybe not having the full amount of empathy you need to use kind of that catch-phrase at the moment, but you’re sort of, you’re left in a little bit of a bubble, but you need to move fast, because it’s industry, and it’s definitely a challenge. Natalie: Yeah, I think we can certainly talk more, that’s actually in my list of things to talk about, was Simon’s article, he says he’s a little bit wistful about times gone by. I’m not sure that there was ever a time like that, except that he was at Intel at one point, I believe, and so I think there’s, when you’re in R&D, it is a different beast. But when you’re in consulting, and you’re driven to a sort of an extent by being profitable, I do think that the nature of the work that you have the freedom to do is different. Matt: And you’re both at SAP, have you had the opportunity to do much generative research? Natalie: Yeah, I have. But it’s not something that happens just immediately or spontaneously as you get to know someone, just because you’re an anthropologist, or you’re an accomplished business professional, it doesn’t necessarily open up those doors, but yeah, I have had those opportunities, when I’ve established trust and rapport with a customer or a sponsor over a period of time. And oftentimes it’s by doing less appealing work first. Or I don’t want to say less appealing, but maybe less exciting for me as an anthropologist. Oh, I need a webpage designed, oh I need a satisfaction survey executed, right? It might not be as exciting, the work as you want to be doing, it’s not a full blown ethnography or something like that, but it’s what the customer needs, and that you know you can do well. But when you do those things well and you’re able to talk in an articulate way about what you do and what else you could do overtime, I think it opens up the trust, and the opportunity to do that kind of work. Matt: Would you mind maybe telling everybody, maybe we should step back a second and talk a little bit about your current role, a little bit more about building the UX teams, and kinda how you went about that. Matt: And sort of, you know, the state of UX at the enterprise level today, which you mostly work in? Natalie: Sure, yeah. So yeah, I was at SAP for almost 15 years, and in there, I was really in a variety of business roles, I wasn’t a UX leader, or a design leader. I think the climate has changed at SAP for a number of reasons, including Sam Yen now as the chief design officer there. But when I was there, it was, you know, it was more of a skunkworks kind of thing, it was something that we did, and we build some excitement and momentum for, but it was never a huge part of the company, even considering the number of software developers that SAP has. And so about six years ago, when I was approached by ZS … ZS is a professional services firm, which has largely focused in the life sciences, and historically we’ve done a lot of work in sales and marketing. Those last seven or eight years of my career at SAP were in sales and marketing operations, so I had really been doing the work, and very much in line with the kind of things that ZS did. And what they were interested in was that I really understood how software got made, I built UX from scratch, and I was interested in ZS. I had been at SAP one time, and I was ready to do something new, and I love the idea of building something, and in this case it was also reporting to the CTO, the Chief Technology Officer. I liked the idea of having a more senior role, on having more authority to shape the direction of the team, and of the organization, by being a member of the leadership team in the engineering group. That was really what prompted and it required a relocation, so that’s been also new learning, to be a midwesterner, which is [inaudible], learnings after many years, I mean, even though I lived on the west coast, I still consider myself an east coaster by, sort of deeply ingrained cultural age. I think you can never take, if you’ve been raised in New England, you can’t really ever shed that. So anyways, it was a very interesting period. We had a lot of work to do to standardize, we had a lot of legacy code. We had to learn how to be much more deeply integrated with an engineering group. I had to build the team and establish how we establish rapport together and so on. But then how do you work with engineers, how do you work with product managers, how do you work with QA for example. I haven’t read anywhere, where UXers or designers have talked about how do you deeply collaborate with your quality assurance team, so that they can pull through the concepts that you’ve created. I think there’s a lot for us to learn there. Learning how to build for mobile, learning how to, Agile was still, the practices were still being established here, so there was a lot for me to learn. And that work in agile was the origin of that book chapter I wrote in the Handbook of Business Anthropology, is learning how to do that and being able to talk to other people about how to do that. I thought it was sort of an important inflection point for me. Two years into that though, I start to look around and I say, wow, ZS is actually a consulting company, not a software company, and that does make it hard to build software the way you would traditionally build software in a software company. I realized, you know, the challenges that we face in B2B software, are actually much harder from an engineering group. It’s very hard to get access to an end user, so if your end user is a salesperson for example, a pharmaceutical sales rep for example. From an engineering group, I have to go talk to the person who owns the relationship with that client, and they have to go talk to someone in their sales operations group, and that sales operations group has to go talk to someone in sales management, and someone in sales management has to give us permission to talk to a rep. Right, so you end up five or six steps removed from the end user, and it becomes very hard to develop a good product that way. And so I became more and more enticed by the idea of trying to do something in consulting. And there was demand from the consulting team for UX services, and so I talked to the Managing Director and I said, hey, I think we need to do this, and they said, “Go for it, see what you can do.” So I started that consulting capability, we had literally, the team that only did UI work in India for the first year. And then in 2015 we had our first, much more seasoned, onshore UX people joined us, and that was really when I think, things started to take off. I really enjoy, you may have heard this term of being an innie and an outie. So if you’re an innie, you’re working in a company, and you can effectuate certain kinds of change, when you’re working inside a company, and when you’re a consultant you’re an outie, right, you’re helping people, but you don’t own those problems for the long run. It’s two very different kinds of work, and two very different kinds of habits. I really enjoy the challenge and the variety of both, but it is pretty different, I don’t really know anybody else who does both. I would love to meet other people. I think, you might be in a consulting role and doing an occasional internal project for example, but it’s very different than actually being embedded in an engineering organization. I really love that, I feel like I really appreciate both, and I’m glad I get to do both. For example, the population that we serve with the technology we produce here, it’s the same user population. Still life sciences, sales and marketing, more and more into clinical trials and the R&D space now. The business challenges are the same, the healthcare ecosystem challenges are the same. And one of the interesting things, which [inaudible 00:20:38] to one of the questions that you’ve asked me is, one of the interesting things about product work is it is more longitudinal, right? So, we’ve now got the UX team researchers and designers, that have been in place for six years, on the product side, and they’re studying, the same population for the same products, over that long period of time. We’ve talked to hundreds of users now. That gives us a body of understanding about those users, and their needs, and their preferences, and how they consume information, and what their work life is like. That longitudinal insight, we can bring into our consulting work. We don’t always get to do the kind of research we want to do, but we can walk in with six years of history about sales reps, for example. And say, “Look, we know we have to do some kind of abbreviated research here”, but we’re also, we’ve got the wind at our back a little bit, because we’ve got this body of research that we can draw on, so that we’re not really doing design apps and research. Adam: That’s a really interesting point to think about too. Because, you know, for a lot of our listeners, if they’re coming from the academic space, just even this question of how quickly, and we’ve mentioned the Simon Roberts article too, how quickly research either has to be done, or if you can even sort of make the pitch that it needs to happen, right. And so UX is such an interesting space for user experience, such an interesting space, because it mixes together this idea of, sort of as deep as one can get interaction with the users. The people that are the end users of the software product or a service. Then also this question of experience, right. This is kind of this, that lovely anthropological term just thrown in the back of user here, where it’s like, what does it feel like, or what is one’s sensations, what is one’s experience of interacting with something? How that gets brought into the corporate space is really cool. It’s great to hear your story, thinking through this question of how it got brought in. Part of it was based on your own background and work doing this, and then sort of the ZS thing. Okay, this makes sense, we like this pitch. Even to see how you have taken your own way and sort of mixed it, I love the term innie and outie there. That’s a really cool way to think about this idea, what is it to be both embedded and consulting. This is a newer space, that Matt and I have been talking about, we’ve been thinking about it too, is what does it mean to be inside or outside of an organization. This is like the old school anthropological emic and etic, the insider and outsider perspectives. Natalie: Yes. Exactly, exactly. Just a little less anthropology jargon, if you talk about innie and outies, right? Matt: Yeah, well, and so that’s actually a good point. I think on your blog, or maybe another article that I had found when doing some research. You talk about a problem that anthropology’s message is not widely accessible. What do you do in your daily role to make it more accessible? Natalie: Yeah, that’s a great question. Ultimately, the way that I tell a story is that, bringing user experience to a project, whether it’s a software or a service design or whatever it is. It’s ultimately about bringing people into the equation. I know that’s for an anthropologist, and especially someone who might not be in tech, that just sounds so strange, like what do you mean you have to introduce the idea of people, but in reality, you know, you’ve got a business stakeholder, a business sponsor who’s got some kind of pressing business problem, go to market, revenues are down, competition’s fierce, right, there’s these looming business problems. You’ve got a bunch of technologists or MBAs. MBAs are more oriented to that business staple. What’s really really interesting is, I don’t feel that way at all. And our clients, when you walk the halls of our clients … the top 50 pharma companies in the world are all clients, so [inaudible 00:25:11] open your medicine cabinet and read a label, one of those is a ZS customer. When you walk the halls of those clients, there are pictures of patients, there are patient testimonials. There are … when they have all hands or client meetings, there are patients that come to talk about how these drugs saved their lives. The people that are doing this work – even if they’re in the trenches, dealing with some crummy, pharmaceutical sales data, and trying to pump it into a dashboard – they’re walking the halls and they know that they are doing this in the interest of people that are dying. Or people whose lives are not as good as they could be without the help of pharma. There is a really deep patient-centric orientation in these pharma companies. And yes, there are plenty of examples of people that have made bad choices. You know, look at the price gouging and executives that have made crazy, crazy, not patient-centric decisions. But on the whole, my experience of our clients is very very patient-centric. I think, that’s what’s interesting, is the way that health care is going, you think, wow, a lot of stuff in the market vilifies the pharma companies. Again, not to say that they are without flaw. But when you really look at what’s going on, the payers (or the insurance companies) are consolidating. And something like, by the end of this year, or middle of next year, three to five insurance companies will control 80% of how people are covered in the United States. And so when you say, should you be afraid of pharma or should you be afraid of the payers? And it’s not to say that pharma, because what’s interesting now, and there’s good and bad in all of this, and actually the doctors really lose out too, because the payers or the insurance companies are telling the doctors what they can prescribe, in what order they can prescribe it, or the client doesn’t get reimbursed, or the physician doesn’t get reimbursed, right? So the payers are really dictating the rules of the game here. Pharma, insurance, and the sort of financial services space, it was quicker to make all of these technology investments. And of course, as they consolidate, they have a much wider view, than say an individual pharma company might have. If they own 20, 30% of what we call the “lives”, or the insured lives in the United States, they have this massive view over what’s happening in the market, and they can use that information in their contract negotiations with pharma and other players in that space. But what’s really interesting about that, and what brings me back to this topic about people and patient-centricity is, what’s very interesting is what insurance companies are realizing. You probably have heard the term value-based care. What they’ve come to realize is that what’s in the best interest of the patient is often the best financial decision too. For example, you don’t want somebody readmitted to an ER. You don’t want them to go to the ER, be treated and be back a couple days later because the treatment wasn’t effective, right? What happens there is you see, it’s in the best interest of that person to be treated in such a way they don’t have to go back to the ER, or that they have the right support services, or the right things are done so they don’t go back to the ER. It’s more cost effective, but by the way it’s a heck of a lot better for that patient too. Right? So what’s very interesting is the shift of value-based care, actually turns out to be rather patient-centric. Same thing in clinical trials, there’s this growing momentum and awareness, that we can’t talk about research subjects and get people to sign their lives up to take drugs that have never been tested on humans before. If you don’t talk about them as people, and if you don’t treat them as patients that are going through this difficult situation, and you treat them as a box that needs to be checked, for a federal paperwork, for a clinical trial, you’re never gonna get the patients you need to actually complete the trial. What I find to be really exciting is that all of these types of experience, whether it’s customer experience, patient experience, user experience, that the backdrop of the healthcare ecosystem is actually providing a great place in which to do that kind of work. Because I think there’s a growing awareness that it’s necessary, and in order for these companies to be successful and serving their constituents. Matt: Do you think that makes it easier for you to do this, well, it sounds like it makes it easier for you to do this work, but would you also say that raises the bar of what you really need to deliver? Natalie: I just think, healthcare – unlike tech and consumer, where you think about consumer – they’re so far ahead, thinking about personalization, like make your own sneakers, and healthcare is just way way far behind. So yes, it’s making it easier, but if I had to think about, that moment and that inflection point that the dot-com crashed, that I wrote about in my dissertation. Healthcare is now where high tech was when I wrote my dissertation. Natalie: So I think, yes, they feel the urgency, they recognize that things needs to change, but they’re just beginning to understand these ideas about healthcare, patient-centricity, you know, those kinds of things. Now obviously some companies are further ahead than others, but I just think, I hope, actually, because now we’re at the beginning of something, because we’re talking about people now, as we solve these problems. Adam: Now do you find that like, that’s super interesting, do you find that, because of, for example if tech and individualized consumer products are, more or less 20 years ahead of where health tech is right now, or where health care is going, and becoming patient-centric. Does that on one level pave the way for doing user-centric or patient-centric, this kind of research? That seems like story-telling, patient testimonials, having photographs of patients in the hallways. Is this also following on those same heels, do I find there’s sort of a pattern here? Natalie: For sure. It feels like the whole thing is happening again, and those of us that have experienced it in another industry, or saying, oh, yeah, I mean healthcare feels behind. But when you understand the complexity of the ecosystem .. there are massive things that are in play when you’re thinking about healthcare markets, and the dynamics of government and these giant insurance providers, and the fact that it takes 17 years to get a drug to market. Pharma companies are, you know, how do you deal with that, right? I think there’s a lot of complexity there that maybe doesn’t exist in other places that can truly fail fast. But I do feel like there’s a lot of commonality there. A lot of the ways that I talked about UX 10 years ago, I’m still talking about now, because it’s still relevant. Matt: How do you, given all the complexity, do you have any tips for making sense of all of that? It would be like, say when you studied in Bali, making sense of that is incredibly complex, and certainly making sense of users can always be a little bit complex. But say, maybe a consumer mobile app, that has a relatively straightforward, kind of one purpose. It’s maybe a little bit easier to wrap your arms around. To people who are maybe coming into the industry, how do you approach that amount of data with that many stakeholders? Natalie: The thing is, is that that little app is actually not that simple. It seems like it, but when you think about what’s happening there, you have a pharma company that has a brand, and that brand has a certain set of go-to-market goals, or competitors or things like that. And that brand team, has made it (it’s usually the brand team that’s made a decision) that they want to build an app for whatever reason. But you know, there’s, I forget the number, it’s like over 200,000 mobile healthcare related apps in the market today, and I think five of them own 80% of the usage. Because most people that are building those apps have no idea what they’re doing and how to make them usable or useful. Because the thing is, is in the end, unless what you’re doing is providing access to web content that you can read on the web, you know, like a very basic patient information, or brochure kind of stuff, anything else you’re doing, you’re probably trying to change the patients behavior in some way. Their adherence, how they’re taking their medicine, how they’re tracking their treatment. What other things they’re doing that might be affecting the state of their care. You can’t just snap snap, build an app, and without all of this other work. For example, you want to build something for somebody who has diabetes. And you know that the ability to maintain behavioral changes in diabetes is incredibly hard. If you’re not thinking about that complexity and all the things that have tried and failed, and what kind of diabetes is it, first of all. There’s this whole backdrop of, you know, even population health, and all these other things, that I think if you just try to build an app in a vacuum, it’s gonna fail. And that’s really what’s happened, actually, is the majority of things that are tried like that, without that thought, the context, the backdrop, and understanding of the disease state, they fail. Because you can’t just drop an app into this complex environment and think that it’s gonna work. Adam: I think that’s a beautifully said point. Because I mean, one of the things that reflect, you know, is thinking anthropologically. Nothing that happens in the vacuum, I liked your point earlier in the conversation, where software itself is of course a part of some cultural environment. One of these things that I randomly read, you know, on fast company’s design blog, and they’re saying that you know, what’s one of the design jobs that we think will be in the highest demand in the next 20 years, and they speculate that it’ll be data ethnographers. This idea, like, as data, as AI’s, as other kind of tech, in these sort of, you know, as you said, to even when you’re doing longitudinal products, or projects, you can get more and more data, you’ll have more user data that you can draw from, you can say, “Oh, we’re actually missing this piece.” Even part of that too is like, having the capacity as a researcher, or the necessity to look back and say, where did that data collection, how did that happen, what were the surveys asking, in what context were they asked? I think that yeah, you’re speaking to a really great point here, that’s kind of cool, because we’re seeing it like in between the healthcare space, and then sort of the more forward, as it were, air quotes, consumer-based area. In between these two we do sort of see this question of where is the data coming from, and how are we gathering it, and how do we be responsible about that, I think that’s a really great piece to think with. Because you mentioned, [inaudible 00:36:15], moving to a question of the idea of the notion of imperfect data you’ve written about too. And that, we of course, in any kind of context, you never had these magical conditions where you can have the perfect amount of time, the perfect user or the perfect questions. Natalie: Once in a career, if you’re lucky, actually. Adam: Yeah. So can you talk about it a bit, what you mean by it, kinda walk us through a little bit about this idea of imperfect research. I think it’s a wonderful idea, that is about like grounding expectations, right? Natalie: Yeah, exactly. I think for me, and maybe some of that also is my impatience with the idea that there needs to be this, just the conditions need to be just so, in order to get anything done, right? Because that condition doesn’t exist. It doesn’t exist if you’re building product and it doesn’t exist if you’re in consulting, right? And so then the question is, you can say, and some of it is scrappy, and not all of it is beautiful, but the question is, how do you make sure that you’re making informed decisions in whatever way possible. Can you look at the usage data of an existing system, that might be comparable. Can you, is there other research that’s been published on that same disease state, that you can use as a starting point for your understanding? But to just realize, that in most cases, you never – I’ve never – had a research proposal that we issued and on the first try it was accepted. It’s always, you know, cut it down, cut it down, simplify it, do it faster. You don’t ever get to do. And even my dissertation research, if I hadn’t been so desperate to finish and actually graduate, I would’ve kept researching forever, because it’s so much fun. Adam: That makes me feel better, okay, good. Natalie: And so I think, I guess what I like about industry in particular, is there are just constraints, right? If you talk to designers or study that, you know that actually is, that makes you creative. And us, by necessity, are forced to be more creative, because you can’t do the six months of ethnographic research that you want to do. Adam: It’s a great point, because I’m finishing my dissertation and Matt’s working on a thesis, so we both love the idea that we’re allowed to have constraints. Like you’re allowed to stop, you’re supposed to stop, right? Natalie: Yeah, yeah. You can always write a book later on your own time, but get the degree done and move on, yeah. Adam: I wonder, speaking of that, I wonder if might kind of hop over it, because you’re also a legend in the anthro community, for starting out the anthrodesign Slack group and community. That’s a really interesting story, I’d love to hear you tell a little bit about how that got started and sort of how that’s going today. It’s blown up, it’s huge now. Natalie: Yeah, right, we just had our 15 year anniversary. Natalie: Thank you very much. I’m proud of it, and in retrospect, I wish I had been more aware of what a big deal it was. Now I understand it better than I did at the time. But I was exactly where you guys are now, actually. I was writing my dissertation, I was realizing I wasn’t going to stay in academia, and I realized I needed a network of people that were doing the work that I wanted to be doing. At the time, there was a generation of anthropologists, that had been at PARC, or at the Institute for Research on Learning (IRL). You know, Gitte Jordan, Lucy Suchman, Jeanette Blomberg, Melissa Cefkin. They coined the term Community of Practice, which you probably heard of, and came out of the work of institute for research and learning. With Etienne Wenger and Jean Lave. Those were the folks, and Pat Sachs. That I went to and said, “How do you do this?” There have been ebbs and flows in that work, there was the work at Bell Labs that Pat was very involved in, and the work on the west coast. I think all of those teams have seen ebbs and flows and they have evolved. But what I realized is, there was no institutional history about what had happened. I wanted that, but there was nothing except to go talk to those people. There was no way to learn about that, except to go to talk to them. So that’s what I did, I started talking to them, I asked to meet with them. In the beginning, so the American Anthropology Association meetings, that first year, in the 2002 timeframe (or 2003, something like that) I organized a panel about anthropology and innovation in high tech. I literally had nothing to say on the topic, because I wasn’t doing the work. But I chaired the panel, because I could get all these great people together. Natalie: Right, and I did that … so I got to meet them, I got to hear what they had to say. I did a similar thing, I want to say at the Society for Applied Anthropology meetings in 2004, and I brought a pair, an engineer and an anthropologist together, from Intel, Microsoft and Pitney Bowes, to talk about the nature of their collaboration. I think we just started to realize there was a lot of interest and momentum in these conversations, and you know, there were dinners, SfAA for example, or a dinner I hosted in New York. It was 25+ people, and we realized, wow, this is really something. That was when I said wow, rather than just doing this by email, let me start a listserv. I was a UNIX system administrator at the time. It was obvious to me that we needed a listserv. Adam: That’s what you do, yeah. Natalie: That’s what you do. So yeah, I wanna make a listserv here, and it was these 20, 25 people that I had built these connections with, and then very quickly it was 90 people. But in the beginning it was only anthropologists. I think then, once it got past 90, we started this, well, there’s the people we collaborate with, the engineers, the designers and so on, and then it really started to open up. It’s all been by word of mouth, I’ve never really advertised it, because I didn’t want a bunch of spammers, and I wanted the quality of the list to remain high. So it’s 3,000 people globally now. Natalie: We exchange somewhere between 150 and 200 messages a month. Then there’s a Slack channel. I’ve looked for different channels over the years. We tried LinkedIn, I tried Facebook, none of those seemed quite right, for different reasons. A lot of people need to ask questions and confidence. You know, they’re asking on behalf of an employer, or their customer might be on the list. So they need to be able to post without using their work email. LinkedIn isn’t for everyone, and Facebook felt a little too personal. Yeah, so, Slack is really exciting because it’s a little bit like Twitter, for people that use Twitter, but it’s a closed community, so you have control over the conversation and you can create discussion threads basically. That’s taken off, I want to say it’s somewhere between 400 and 600 now, and it’s pretty active, and the idea of channels is good, because then people with like interests can talk to each other, and get to know each other. The pleasure of that I think is, particularly me, I used to do that a lot at the beginning of anthrodesign, where I would, I was traveling a lot for work, and I would go to a city and organize a dinner while I was there. Now these meetup channels, anybody that’s in the area, can get to know who else is in the area and organize an event. I like that it’s sort of self-perpetuating that way, that I don’t have to be the one to do that, but that it sort of has a life of its own. That’s pretty neat. Matt: Yes, that’s great. Certainly, having joined six, eight months ago, and Adam being in there now, I know that I’m finding a significant amount of helpful information in there, so I would recommend really to everybody listening to take a look at it. It’s been, both from a theoretical perspective, for people looking for jobs, for the meetups. I mean there’s really something for anybody who’s interested in this. There are some really great people who reply very actively. Excellent help when you need it. Natalie: Yeah. But the thing that I was trying to do with anthrodesign, which, you know, I wrote about, there’s a blog post I wrote about celebrating the 15 years and what I was pleased about. Of course, now there’s all these books about anthropology in design, and design in anthropology, and I regret that I didn’t write one of those books at the time. Because anthrodesign precedes all of those books by a couple of years. I wish that I had the presence of mind. But I was still writing my dissertation, so I really wasn’t able to go after that. What I was trying to do at the time with anthrodesign, was to really talk about the nature of collaboration and how hard it is to collaborate across disciplinary boundaries. 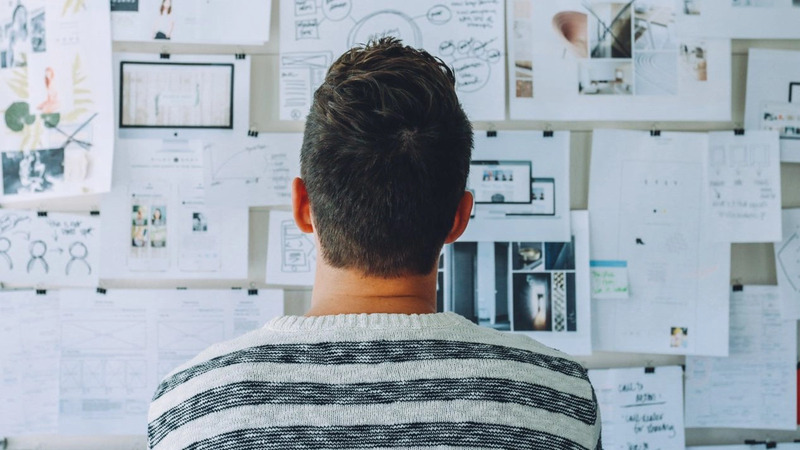 We talk about UX as a thing that’s all lumped together, but in fact, you know, there’s research in design, and there’s many many flavors of research, I have human factors engineers on my team, I’m an anthropologist, I have people trained in HCI. And even across those boundaries, we have our own challenges, but then now you start to talk about, okay, how do I collaborate with someone who’s a data scientist, or someone who’s a deep technology expert, or a deep business expert. And really what I wanted to do with anthrodesign is to talk about the nature of collaboration, and how do we develop a mutual appreciation for what the other fields bring to the table, so we can bring our best work forward. For example, anthropologists are great about talking about context and about the cultural backdrop, and maybe even about some human behavior, if they’ve studied a little psych or something. But they don’t have that ability to have a laser focus on a business problem or business outcome. And so what design does, when you think about what happens when you go to design school, is you build a portfolio by solving a series of business problems with design constraints. So you come out with a portfolio that shows you can understand a business problem and apply a set of methods to arrive at an outcome. It’s very practical in many ways, even though it’s also aspirational and innovative, and all of that too. So it was similar to what I was thinking. We need to have these conversations and not have them over and over, we need to have that body of knowledge that is shared. Let’s write it down. So I’m really thrilled that they did that, and I think it’s been a really important part of what we do, but I still feel like we haven’t gotten to that piece that I, to me it’s ultimately, the challenge is, if you look at the details and the challenges, and the day to day work, is how do you create an environment where a developer is excited to understand human behavior? Or a designer is willing to invest the time and energy to understand the limitations of the technologies that were working in? Matt: So is there a book in the future? Natalie: There is actually, now that you mention it. I’ve got an article that I’m working on right now, for the Journal of Business Anthropology. About bringing anthropology and design into the tech space, and some of the challenges that we face there with the backdrop of agile, and the pressure to innovate and all that kind of stuff. That is supposed to be, that will come out sometime early next year. And then I’m also, in the middle of putting a proposal together with Laura McNamara, who works at the National Labs, and we’re gonna write a book about research methods for data scientists. When you’re working on these really really sophisticated technical problems, how do you bring an understanding of users into that type of project work? She’s working at the National Labs, on really complex military technology. I’m working in industry, it’s not the same kind of technical complexity, but it has its own set of challenges. And what’s the composition of those teams and what can we do to help those teams to be thinking about the people that they’re serve while they’re building new technology solutions? Adam: I wonder if, I think we have a few minutes left. I’m wondering if you could tell us about, what kind of advice would one have in terms of like, either of someone working in the software or tech space, or in anthropology, we’re trying to merge them kind of, and the work you did. Do you have any advice looking back, and saying, these are some kind of the steps I wish I had known when I was making them. You’ve obviously pioneered so much of the way in terms of building your own first level teams. Is there any advice looking back now, that you could say, it would make sense to pay attention to x, y, or z or don’t read Don Norman’s book, or read Don Norman’s book, or whatever you know. Natalie: You know, one of the things … I don’t really have any regrets, because I think I’ve had so much fun doing what I’m doing. I don’t really feel like I made any mistakes, or things that I would regret, but there were moments where I was frustrated that my job wasn’t in UX all day, every day. In fact, that was one of the reasons I left SAP to come to ZS, was I wanted a job where I wasn’t doing UX and operations management, but that I was just doing UX. But in hindsight, when I think now about the advice that I give to grad students, or people that are trying to make the transitions, for example from academia into business, the first piece of advice I give them is go get some experience in the business world. Go understand how the business world works, learn to speak the language of business. You’re probably familiar with the work of Leah Buley. She wrote the UX Team of One, and she spent some time at Forrester, which is an analyst firm, and when she left Forrester she wrote a blog post about what we as a field need to be doing differently. This comes back to things we’ve talked about, about how do you sell it, how do you create awareness of the value? You can’t do it if you can’t speak the language of business. Because when I talk about, how do you articulate the value of what we do, how do we sell what we do. I don’t say, hey it will will have x usability score, or x customer satisfaction score, whatever. My question or the thing that I asked that business stakeholder is, what business outcome are you trying to drive, and then how do we use UX methods, or research methods, or design, to help achieve that business outcome? And if you can’t speak the language of business, and understand what they’re talking about, you know it sounds like the teacher on The Peanuts, right, you don’t really know what they’re saying. You can’t sell to them. You can’t make what you have to offer relevant, because you don’t know what’s important to them. All of those experiences have helped me discern, what kind of organization I want to work in, what kind of research I want to do, where that is distasteful to me. It’s also really helped me hone my observation and analysis skills on culture and the work context in the meantime. I’ve learned about the business setting, but I’ve also learned about culture across different kinds of work environments, and I also learned a lot about myself along the way as well. Adam: Fantastic. I don’t know if we have, we can do kind of a, we can do like a bonus question at the end, and we can do so. Matt, I don’t know if you have a burning question that you have left, that we want to ask? It could either be, I’m looking at our notes, one of them could be these questions of the kinds of theory things that have come into it, I don’t know if we need to ask that or not. But Matt, is there a question that you’ve been waiting to ask that we could do, or? Matt: No, I mean, I think we’ve covered most things on our list. Natalie: I think the one, guys, if I had to say, the one thing that we had talked about is that, you had this question about the nature of, how do you deal with the fact that you can’t do longitudinal research. And so I have two examples of how I tackled that, that I think would be worth the time. Because I think, again, there’s this idea, there’s this despair, of if I’m in consulting, I’m never gonna get to do … I have to be in R&D to do that kind of longitudinal research, and I don’t want people to think that’s the case, and I have these two examples that I’d love to share, if you’re open to that. Natalie: Okay. Bonus question, here we go. The two examples I want to share is that I had one client that I was working with, in one of the sales teams at SAP, and they had come to me, and I referenced this briefly earlier. They had just needed a website designed, and I was responsible for the internet and all website publishing at the time, so I said yeah, we can probably do a website. And well, maybe you want to know about customer satisfaction of that website, or maybe you wanna see if that site is usable, or if it has the right content on it. And overtime I built a lot of trust and rapport with this client, and I really mean over years. Two or three more years. And eventually what came to pass is they invited us to come and observe their users in that work context, and to make some recommendations. And we did an ethnographic study there, and we came back with all kinds of insights, and it really led to some eye-opening thinking for them, about the nature of the work that they were doing, and that they should be doing. That following year, when they started to do strategic planning, they asked us to come, they said, “You know more about our organization now than we do, will you come and be a part of our strategic planning?” Right? So it’s not a one time, you know, you don’t sell one project, and ta-da!, you’ve done it, it’s by building this trust and this rapport over time. Similarly here at ZS, I mentioned that we work with similar types of users, whether we’re working on product or we’re working on custom solutions for clients. I’ve had the same sponsor over a multi-year period, and we’ve done research, both sponsored research, internally paid for research and research with clients, and we’ve built up a body of knowledge about a certain user type. We have, every year that we’ve gotten new research, we’ve come up with new design ideas, that we could make their lives better like this, we could make their lives better like this. This year was the third iteration of that, so over a three year period we’ve now talked to hundreds of these types of users, and we just had this moment, where we were like oh my gosh, this is it! There’s a confluence of new tech, shifting landscape, new clients, this design idea, we just nailed it. But it was the third time around, or three years in. And it’s been a bunch of small investments, it wasn’t one gigantic project, but the same sponsor, that trust, experience-led technology innovation, and some real commitment to see these ideas through. Our persistence, and by the way collecting all that research and aggregating and then telling a story about this body of users, that’s a single story now, not treating each one as a separate research project, but treating them as a body of work. And that’s allowed us to do something really innovative, that I’m hoping is gonna ship next year. Natalie: For sure, for sure. I think that happens. Now, you know, as my role has gotten more senior now, the way that I would actually characterize that, is like a relationship problem. Either you’ve delivered the wrong thing, because you didn’t understand that client, or you didn’t understand their client needs, or you’ve packaged it in a way that they can’t do anything about. That to me just means you don’t understand your customer well enough. Your buyer. You don’t understand the person that bought the research from you. Or you don’t understand enough about the challenges that they’re facing. They may be looking at downsizing, they may have a new boss, they may have had budget cuts, they may have pressure to do something differently. They may have been trying to innovate and panic, that they’re not really able to pull the ideas through. But to me, what that usually looks like to me, is you don’t have a good enough relationship with the person you did the research with to be able to ask those questions. What did I do wrong, did we answer the wrong questions, was it not actionable? Maybe they needed to have been part of the research synthesis and write-up, so that you could’ve made those insights more relevant for them. But there could be all of these other things going on in their work life, in their work context, and I think if you have a really good relationship with the client, hopefully you can ask that. And in fact, if you’re an innie, you have to ask that, because it’s gonna be your same client over and over again. You have to get through that. But if you’re in consulting, it’s really easy to slink away, and say, “Ouch, that didn’t go anywhere, let me move on”. But the brave thing to do would be to say, “Wow, we did all this work, we hope it met your needs. We’ve found that you’re not doing anything with it. Can you help us understand why, is there something we can help you do to bring these research insights to life?” Just try to take some ownership and help them actually solve that problem. You’ll learn a lot about them and hopefully build a more trusting relationship where you can find those things before you hand in your final deliverable in the future. Matt: Perfect, seek to understand all of the stakeholders, not just the end user. Natalie: Yeah, yeah, absolutely. And I think that’s the big thing that’s happening in Enterprise UX, right. You talk about Enterprise UX, and how is it different than what’s happening elsewhere. Rosenfeld Media has the Enterprise UX conference, they have the Design Operations Summit. Really what’s happening is, it’s people that are trained in design, are learning about how large matrixed business organizations operate, and figuring out how to bring design into those contexts. That’s an example of that. It’s not a little boutique design firm. If you’re a really terrific ethnographic consulting company like ReD Associates, people just come to you, like in the early of eLab. People go to those companies because they want something very specific. Not everybody works in that kind of company, and so that’s the challenge, is to figure out how to, you’re learning and teaching with your clients and your stakeholders as you go, and in a business setting, in a big enterprise setting, there’s a lot more stakeholders, and a lot more complexity in terms of how decisions get made. To me, it’s almost like getting an MBA, you have to learn how that business context operates, so that you can be doing your best work in that context. Matt: Very well said. Natalie, thank you so much, this has been an enlightening and amazing conversation. Where can the good people, the listeners find you in terms of, either on anthrodesign Slack group, or the listserv? Natalie: Yeah, well, so Natalie Hanson H-A-N-S-O-N .com is my website, and that has my blog and links to my writing and so on. Then for anthrodesign it’s exactly tha, it’s anthrodesign.com, there’s a join us link. 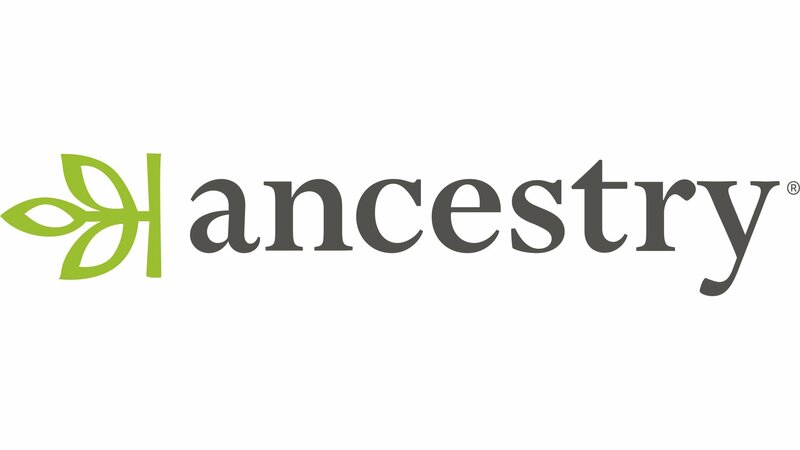 And from there you can find out about how to join the list, or the Slack, or find out more about some of these other related organizations, like Ethnography Matters and EPIC. Adam: Very cool. Yeah, so we can say now, Matt and I can attest, that anthrodesign, it’s been a great Slack group, and so we’ve been on there for a couple of months now, and it’s been a wonderful resource. We’ve met a number of people, both in person and online, and got ideas about jobs, and how to talk about different case studies, different projects. And so, really again, we would encourage all listeners, if you are interested in anything to do with anthropology, and business, and design, absolutely check it out, because it’s an amazing community. That, you know, we don’t have to be lonely anymore, right? We’re all out there together. Adam: Yeah, thank you so much. Natalie: Thank you, my pleasure. Adam: Alright listeners, thanks for joining us, you’ve been hearing our conversation with Natalie Hanson, we’ve been talking about UX, about tech, about learning how to work with different kinds of customers, and questions of trust and conversation. We’d love you to tweet at us, what has been some of your biggest takeaways from the episode? Any ideas that Natalie shared that we converged about. If you can, drop us a tweet at This Anthro Life, we’d love to hear what ideas struck you, so we can kind of bring you more and more content that speaks to you, and is relevant. We hoped you enjoyed, and as always this has been Adam Gamwell. Matt: And I’m Matt Artz. Adam: Yeah, so thanks for joining, we’ll see you next time on This Anthro Life.